All kids deserve to have a positive sport experience, regardless of their level of ability. 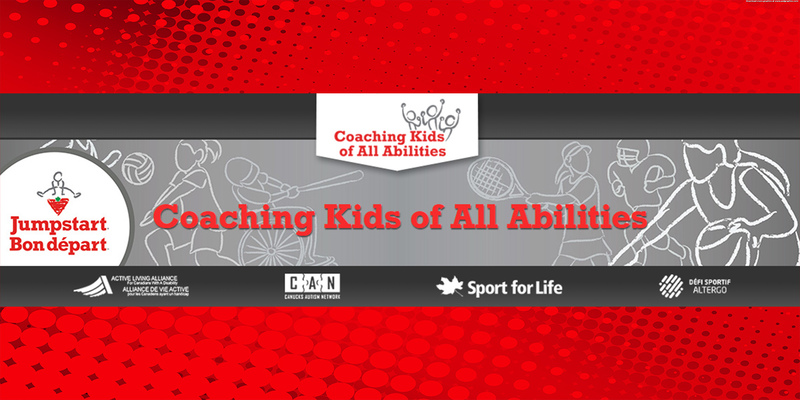 Coaching Kids of All Abilities is a new online resource designed to provide coaches and leaders with tools and insight to create an inclusive sport environment, where all participants feel like they belong and bring value to the team. Research shows the majority of those living with a disability do not participate in enough sport or exercise to achieve overall health benefits. Canadian Tire Jumpstart Charities partnered with leading Canadian accessibility organizations to help address this issue by developing the Coaching Kids of All Abilities resource. Register for free using code JSS4L-Z8Y3N5J until February 23, 2019. After February 23, “Welcoming All Abilities” is $30 and “Supporting Positive Behaviour” is $15. A portion of the proceeds from each module goes towards Jumpstart and partners. For other relevant courses and learning opportunities, visit Ontario Basketball’s Professional Development Opportunities page. Written on 2019-02-07, in News.